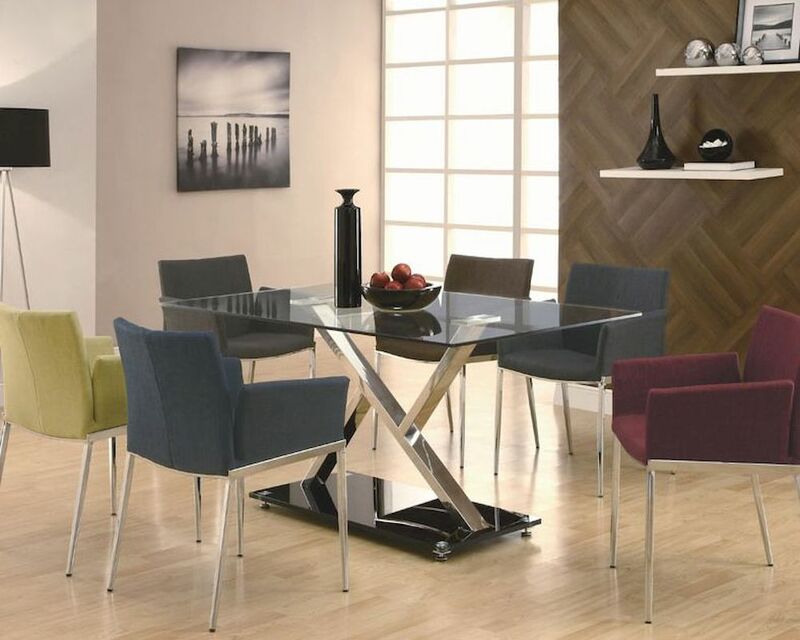 Add a contemporary touch to your dining space with this five piece dining table and chair set. Crafted with a metal "XY" shaped base in a cool chrome finish, the table adds an impressive visual element with its funky design. The glass table top features five times stronger tempered glass, ensuring durability for a long lasting dining piece. Accompanied are six upholstered dining chairs that work to brighten up your dining space. 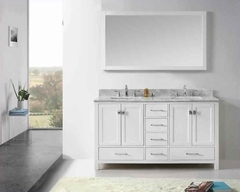 Featuring chrome legs with flared wing arms, its easy to add a cozy design touch that is also visually appealing. Vinyl seating provides comfort, and included are cranberry, pear, coffee, charcoal, and two navy upholstered chairs.